China is already the world’s largest economy on a purchasing power basis. The UK is the second largest EU investor into China and Chinese investment into the UK has increased dramatically in recent years to establish the UK as the most popular major destination in Europe. 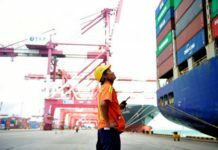 For information on exporting to China, please see the exporting to China guide on the UK Trade and Investment website. 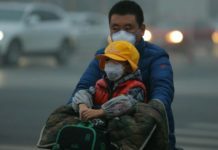 The Chinese government is now seeking to rebalance the economy away from investment-led growth and towards consumption. The emerging focus on innovation, higher-end consumer goods and services represents a significant opportunity for UK companies. However, doing business in China can be challenging. The 2015 World Bank’s Doing Business report ranks China 84th in the world for overall “ease of doing business”. 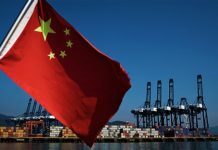 While China has started to open up its economy in some areas, there are restrictions on the extent to which foreign companies can operate in large areas of the economy. Personal relationship networks can exercise significant influence. There is a widely held perception that local companies may also enjoy greater political protection, including from local courts. The team at DIT China and the China Britain Business Council are on hand to support and advise UK businesses who are considering entering the Chinese market. 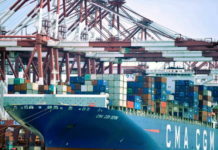 Business confidence surveys from the British, European and other foreign Chambers of Commerce consistently identify an unpredictable legislative environment, administrative issues (bureaucratic red tape) and the discretionary enforcement of regulations as the main regulatory obstacles to doing business in China. On 1 July 2015 China’s National People’s Congress passed a new National Security Law. The National Security Law is broad in scope and covers politics, the military, finance, religion, cyberspace and ideology. Sections of the law deal with the protection of industries and sectors deemed vital to the economy such as grain security, cyber and information security, food and drug safety issues. The Government will publish detailed implementation guidelines later this year. These guidelines should help to clarify the implications for companies whose activities potentially come under the law’s scope, particularly around data disclosure. 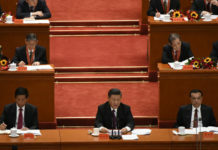 In its last session on 27 December 2015, the National People’s Congress passed China’s first Counter-Terrorism Law, which came into effect on 1 January 2016. The text builds upon the drafts released in November 2014 and February 2015 for public consultation, which attracted some international concern, because of wide-ranging provisions on telecommunications and internet services. The definition of terrorism included in the law is vague. The law mandates supervision of the news media and entertainment industries, which will be tasked with conducting counter-terrorism publicity and which are explicitly forbidden from transmitting ‘false information’. Although requirements on data localisation and disclosure of cryptographic solutions do not appear in the law, there are provisions on content monitoring, on demand access to systems and reporting obligations. This law was passed on 29th April 2016 and will come into effect on 01 January 2017. The law places power into the hands of the Ministry of Public Security (MPS) to register and regulate the activities of all non-Chinese mainland NGOs (including Hong Kong, Macao, Taiwan) operating in mainland China. It also prevents domestic Chinese organisations from receiving funds from non-mainland organisations who have not registered with the MPS. The law could lead to an increased administrative burden on foreign NGOs as well as leaving them liable to harsh penalties if they do not abide by the law. However, for those who successfully register, it will provide them with a clear legal status, which up to now, the majority of foreign NGOs have lacked. This law will have implications for businesses whose corporate social responsibility work involves supporting foreign NGOs or if they have NGO status in their home country. While the final chapter of the law implies schools, hospitals and research institutions may be principally regulated by other pieces of Chinese legislation, those considered NGOs in their home countries may still not be considered fully exempt from the law, particularly if their activities are deemed “a threat to national security”. It is not clear how the law will be enforced and much will depend upon the implementing guidelines. For those who consider they may be affected by the law, it is worth discussing potential implications with a lawyer or domestic partners. This law was passed on 16th March 2016 and will come into effect on 1st September 2016. It is the first law in China which provides a framework for the registration and regulation of domestic Chinese charities and charitable activities. While the law still grants some organisations more freedom than others in areas such as public fundraising, it represents an opening up to more charitable organisations who will be able to directly register with the Ministry of Civil Affairs for tax benefits and other favourable policies. The law does not criminalise unregistered charities, but businesses working with domestic Chinese charities may want to ensure their partners are aware of the law and abide by its provisions once it comes into force. Businesses may also want to seek professional advice or speak to Chinese partners about how they can benefit from tax relief on the donations they receive through CSR or other charitable activities. The Internet Publishing Service Management Regulations in effect since 10 March 2016 gives the State Administration of Press, Publication, Radio, Film and Television (SAPPRFT) remit to limit foreign involvement and investment in online publications. Article 10 bans foreign companies or joint ventures from online publishing and requires domestic firms to obtain SAPPRFT permission before working with foreign individuals and companies or distributing foreign content. Article 8 requires that all online publishers locate their servers within China. There is no clear appeal process should SAPPRFT order the deletion of online content. 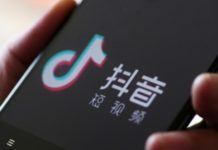 The regulations could affect a range of foreign companies working in the Chinese market, beyond the news outlets, search engines and social media that are already barred. The vague definition of ‘internet publication’ could in theory capture any online information. 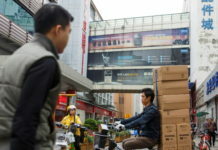 In practice, many foreign firms with an established foothold in the Chinese online market, like Amazon and Uber, are likely to be allowed to continue to operate within a grey zone but will remain legally vulnerable. The Chinese e-commerce law was drafted in March 2016 and will come into effect in 2017. The draft law covers a range of areas including payment services, logistics, transaction security, data protection and intellectual property, unfair business practices, consumer rights, cross-border e-commerce and platform liability. The law brings e-commerce within China’s central/local government plans and industrial strategy. It aims to stop domestic and international companies avoid regulatory compliance by trading online. China Customs published plans for cross-border e-commerce taxation earlier this year. We can expect further details on other areas to follow. In September 2016 the National People’s Congress Standing Committee passed a Decision to amend four laws regulating foreign and Taiwanese investment in China. Following the Decision, MOFCOM released for public comment draft record-filing Rules for Foreign Invested Enterprises (FIEs). The Decision and draft Rules roll out nationwide the ‘negative list’ system for foreign investment piloted in China’s Free Trade Zones. Under the negative list system foreign investors are treated identically to domestic investors. 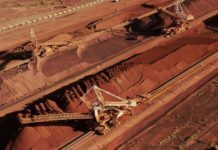 The negative list will be included in the re-draft of the Foreign Investment Catalogue where previously the categories were (a) encouraged, (b) restricted and (c) prohibited. Now, the main headings are (a) encouraged and (b) the negative list. The final categories to be included on the negative list are still to be confirmed. 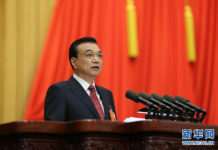 In November 2013, the Third Plenary Session of the 18th Communist Party of China Central Committee (the ‘Third Plenum’) outlined the new leadership’s strategic direction. Key themes were financial reform, including greater RMB exchange rate flexibility; social policy such as reforms of the ‘hukou’ household registration system; and political and administrative reform, including steps to improve judicial process. Political and administrative reform took centre stage at the ‘Fourth Plenum’ in 2014. The Plenum’s central theme was ‘Rule by Law’. While the Plenum ‘Decision’ set out plans to increase judicial independence, improve governance and transparency and instil greater accountability for Party and government officials, it was clear that the Party remains above the law. In March 2016, China ratified its new 5-year plan (2016-2020) which forms the blueprint for China’s national social and economic development. 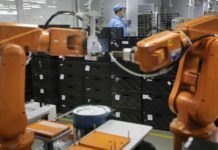 The Plan focuses on ensuring higher-quality growth and jobs and improving people’s livelihoods, in order to reach China’s goal of becoming a moderately prosperous society by 2020. Since 2013 the government has led a sustained anti-corruption campaign, seeking to root out vested interests and strengthen the Chinese authorities’ power, paving the way for further future reforms. A number of high-level officials have been charged with corruption and expelled from the Party, including former security chief, Zhou Yongkang. Since the economic reforms and ‘opening up’ policy of the late 1970s, China has experienced a period of rapid economic growth, averaging almost 10% per annum for the three decades up to 2010. Over this period China’s economy effectively doubled in size every eight years. Despite this, China is yet to become a high income country. Income per capita remains behind the advanced economies and it is ranked 90th in the world in the UN’s Human Development Index in 2015. China’s economy has now entered a period of slower growth its leaders have called ‘the new normal’. The 13th Five Year Plan emphasis structural reform and rebalancing from investment to consumption, and from heavy industries to services. In January to September 2016, growth has slowed to 6.7 per cent, from 6.9 per cent in 2015 but within the range of ‘around 6.5 to 7 per cent’ target set by the government. This is partially driven by an effort to correct China’s reliance on investment to drive growth. 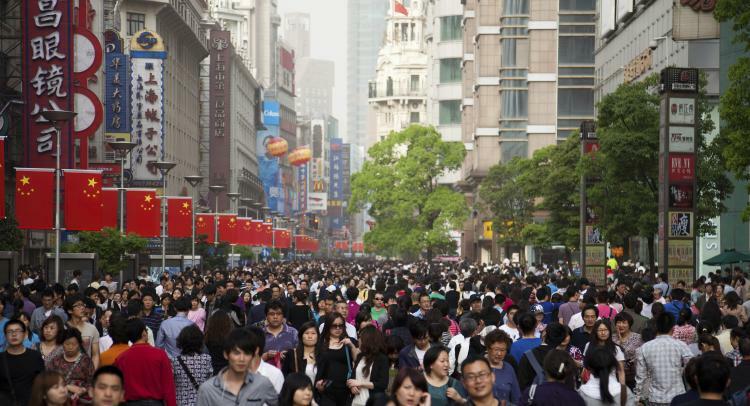 In 2015, consumption contributed to two thirds of China’s growth. As China’s economic model begins to shift, the services sector has grown relatively strongly.. According to official figures, services now comprise over 50 per cent of the economy, relative to around 40 percent in 2010. 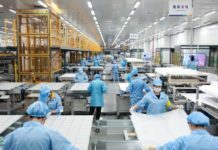 In the first three quarters of 2016 China’s services sector gre by 7.6 per cent compared with 5.0 per cent for the manufacturing and industry sector and retail sales continued to grow at over 10 per cent online retail sales at 27 per cent. 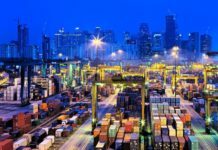 In September 2013, in one of the first major economic announcements of the Xi Jinping – Li Keqiang era, the Chinese Government announced the launch of the China (Shanghai) Pilot Free-Trade Zone. The Zone is intended to act as a test bed for reforms with policies being rolled out nationally if deemed successful. 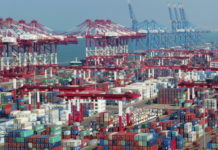 In December 2014, China announced the development of three more FTZs in Fujian, Tianjin and Guangzhou FTZs. The UK government is working closely with Chinese authorities on this. At the Davos Forum in January 2015, Premier Li outlined his support for greater use of public-private partnerships (PPP) in China. PPP is a complex procurement and financing model. Carried out effectively, PPP can help improve the efficiency of public services provision, raises value for money and can reduce costs. Following HM Treasury’s September 2015 Memorandum of Understanding with the Chinese Ministry of Finance agreeing to establish a national training programme on PPP, both sides agreed at the 8th UK-China Economic and Financial Dialogue in November 2016 to regular consultation, frequent visits and exchanges, and further cooperation in PPP policy research, training and consultation, information exchange, and project cooperation. As the number of foreign enterprises investing in China and doing business with Chinese partners has increased so has the number of commercial disputes. There are various options available to settle a commercial dispute, principally litigation, arbitration and mediation. The most appropriate option will always depend on the circumstances of the case, and companies should seek the advice of a lawyer who specialises in the laws of the People’s Republic of China. Before entering into a contract in China, companies should take appropriate legal advice, both in the United Kingdom and in China on including dispute resolution clauses and governing law clauses in the contract to plan how, where and under what law, any disputes will be resolved. Chinese law restricts both the choice of law and the types of resolution mechanisms that can be used in China-related commercial contracts, so the contract needs to be drafted carefully. Contracts entered into in the United Kingdom are not generally enforceable by Chinese courts. Many foreign companies seek to resolve disputes by arbitration rather than litigation. Although it is possible for parties to reach agreement on arbitration after a dispute arises, in most cases an arbitration clause is better included from the outset. 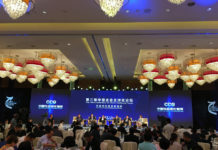 Joint ventures operating within China are considered to be domestic Chinese entities and disputes involving joint ventures will mostly be considered to be domestic disputes to be arbitrated in China. We have published advice on how we can help British nationals with commercial disputes here. Under Chinese law, any entity legally registered in China must have an official company chop and a financial chop. Chops are red stamps which act as an official seal. There are several other chops with specific functions. They are used as a form of signature that is accepted as legally binding. Chops have to be made by a specialist company and registered with the local Public Security Bureau. The holder of an official chop can bind a company in important transactions even where they have not been authorised by the legal representative or shareholders. If chops or other corporate documents such as business licences are lost or stolen a company may be unable to sign contracts, pay wages or withdraw funds. If a chop is lost or stolen an announcement must be published in an official journal recognised by the local authorities. 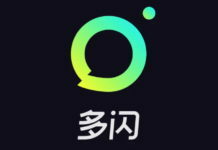 This makes it possible to request the cancellation of the lost or stolen chop, to have it remade and to register the new chop with the Public Security Bureau. A company must present its original business licence in order to register a new chop. If the licence has also been lost or stolen companies must request a replacement. It is possible to file a complaint with the police with evidence a theft has occurred. 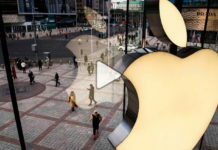 However, the police are rarely willing to intervene in what they regard as commercial disputes and filing a complaint generally requires the company chop. The most common risk is that someone will use the chops and/or official documents to take control of a company without the knowledge of its owner or a joint venture partner. Owners based outside China are at a particular risk if no regular checks are carried out on the company. If the perpetrator is the company’s legal representative or CEO/General Manager it can be very difficult for shareholders to remove them and declare their removal to the authorities without access to chops and corporate documents. The consequences of the loss or theft of chops can be extremely damaging and hard to correct. It is therefore essential to put in place preventative measures and effective internal controls. This should ensuring chops can only be accessed by trusted individuals who need them as part of their job, that no one individual (other than the company owner) holds or has access to them all, that they are kept under lock and key and that documents that bear the company chop are checked and recorded. Directors and senior managers may face civil, administrative or criminal liability if they act in breach of Chinese law, administrative regulations or a company’s Articles of Association and cause losses to the company. A stricter liability applies to the company’s Legal Representative (法定代表人fading daibiaoren) – an individual with broad powers and potentially unlimited liability. An individual appointed as a Legal Representative may be held personally liable in Chinese law for a company’s debts. The legal representatives of some foreign companies in China are individuals who have never set foot in China. There have been incidents of foreign nationals being subject to threats and intimidation as part of a business dispute with a Chinese partner. In some cases facilities have been surrounded by employees or casually-hired support who have refused to allow the foreign partner to leave until a payment is made. Threats of violence are common although actual violence is rare. Stand-offs can last hours or days. The police may be reluctant to intervene and generally will not do so unless a situation does turn violent. If you or your family are threatened in the course of a commercial dispute, you should report it to the local police and obtain a police report. The Chinese government may prohibit a foreign national involved in any kind of business or legal dispute from leaving China until the matter is resolved which in some cases can take years. This is known as a travel ban and can last for an indefinite period. Individuals might not be aware they are subject to a travel ban prior to trying to leave the country when they may be stopped; interviewed and refused boarding. If you are the subject of a travel ban, you should immediately inform the British Embassy or local Consulate-General and seek legal advice. In September 2013 the UK launched its action plan on business and human rights, becoming the first country to set out guidance to companies on integrating the UN Guidelines on Business and Human Rights into their operations. China is currently listed as a country of concern in the FCO’s annual Human Rights and Democracy Report. China is a member of the International Labour Organisation (ILO) and has ratified the two core conventions on child labour. The Chinese government condemns child labour and has committed to take stronger measures to tackle it. China’s Labour Law prohibits the employment of minors under 16. But reports suggest child labour remains a problem, particularly in the manufacturing and service industries. Education Law supports work-study programmes where this does not interfere with normal study, but some internship programmes appear to violate Chinese and ILO standards. The Chinese government officially recognises 55 ethnic minority groups in China, in addition to the majority Han Chinese ethnic group. Despite anti-discrimination provisions in Chinese employment law, discriminatory employment practices reportedly persist including against ethnic Uyghur’s and ethnic Tibetans. Chinese Labour Law specifically protects Chinese workers against discrimination on the basis of ethnicity, gender or religion. There are no applicable provisions against discrimination on the basis of sexuality or gender identity. China is committed to preventing gender discrimination in the workplace under the International Covenant on Economic, Social and Cultural Rights, and the Convention of the Elimination of Discrimination Against Women. Domestic laws are in place to promote gender equality and prevent gender discrimination and sexual harassment. China’s report to the Convention on the Elimination of All Forms of Discrimination against Women (CEDAW) in January 2014 acknowledged that problems remain in gender-based employment and pay discrimination, and sexual harassment. China has an estimated 274 million migrant workers, 36% of the labour force, who have moved from rural to urban areas for work. Most are ineligible for many urban public services, and are employed in low-skilled, low-paid jobs in the secondary and tertiary sectors. Minimum wage guarantees are undermined by illegal employment practices. Migrant workers may be employed without a contract, or sign unfair contracts that stipulate a very low basic wage with long overtime needed to earn a living wage. Withholding wages is illegal, but reportedly rife and frequently cause labour disputes. 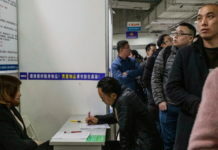 Recent reforms to the hukou system of household registration have alleviated but not solved, the problem in some cities. The Guidelines for occupational health and safety are laid down in the Safe Production Law, which was revised in 2014 to establish a blacklist for companies with poor safety records, and the Occupational Disease Prevention Law, was revised and strengthened in 2013. In addition, enterprises wishing to set-up production in China must obtain a permit from provincial authorities under the Safety Production Permit Regulations, revised in 2013. Allegations of unsafe working environments and workplace abuses in a range of industries remain widespread. These include excessive forced overtime; exposure to hazardous chemicals and military-style management of workers. Official statistics show the number of industrial accidents is steadily declining, but approximately 200 people are still killed every day in workplace accidents. Despite new regulations for filing workplace injury compensation claims, procedures remain complicated and time-consuming. The right to organise, strike and engage in collective bargaining remains strictly limited in both law and practice. Trade union activity in China must be carried out under the auspices of the All-China Federation of Trade Unions (ACFTU), a quasi-governmental body under the direction of the Communist Party. In recent years Chinese workers have become more assertive at the grassroots level about using collective action to secure their rights: illegal protests and strikes are relatively common and increasing in frequency. A number of labour NGOs operate informally to advise and support workers in labour disputes. In Guangdong Province, where most strikes occur, regulations on collective bargaining have been introduced. They place a greater obligation on (i) employers to honour minimum wage requirements, working hour directives and social security payments and (ii) the unions to play an engaged role in dispute resolution. China has increasingly sophisticated IP and legal systems which are used by large numbers of British companies to obtain IP protection and enforcement relief. However, IP problems still cost British business in China hundreds of millions of pounds each year. Damage is not restricted to businesses in the Chinese domestic market – IP infringing Chinese businesses often have global export capacity. One source of risk is that IP rights are territorial, that is they only give protection in the countries in which they have been granted or registered. If you are thinking about trading internationally, then you should consider registering your IP rights in overseas markets. If you are a UK company selling to China, sourcing from China, or even attending the same trade fairs as Chinese companies, your IP is already exposed to risk of infringement. Another source of risk is that the Chinese IP system works differently to in the UK. We provide factsheets on the British Embassy Beijing IP webpage to help British companies navigate the Chinese IP system. We distribute a monthly newsletter informing companies of IP regulatory updates in China. The Embassy and the China Britain Business Council (CBBC) support over 250 IP cases per year. For more information on our IP cooperation with China or to discuss possible Embassy support please contact Tom Duke via email. Legal advice may also be obtained from legal services providers based in both the UK and China. General information on IP is provided on our intellectual property page. More detailed guidance on protecting IP overseas in other territories is available from the UK Intellectual Property Office. Bribery is illegal. It is an offence for British nationals or someone who is ordinarily resident in the UK, a body incorporated in the UK or a Scottish partnership, to bribe anywhere in the world. In addition, a commercial organisation carrying on a business in the UK can be liable for the conduct of a person who is neither a UK national or resident in the UK or a body incorporated or formed in the UK. In this case it does not matter whether the acts or omissions which form part of the offence take place in the UK or elsewhere. A new offence of failure by a commercial organisation to prevent a bribe being paid to obtain or retain business or a business advantage (should an offence be committed, it will be a defence that the organisation has adequate procedures in place to prevent bribery). The Act recognises that no bribery prevention regime will be capable of preventing bribery at all times. A company will have a full defence if it can show that despite a particular case of bribery it nevertheless had adequate procedures in place to prevent persons associated with it from bribing. Companies must therefore make sure that they have strong, up-to-date and effective anti-bribery policies and systems in place to prevent bribery by persons associated with them. Since coming to power in China, President Xi Jinping has launched a wide-ranging anti-corruption drive. While the main focus has been on corruption within the Party and Government it has also targeted foreign and domestic companies in key sectors including energy, pharmaceuticals and transportation. It is likely that the anti-corruption drive will continue and there is therefore an increased risk of more British companies being caught up in bribery cases. China has enacted extensive anti-bribery legislation. For serious cases this allows for up to life imprisonment for offering bribes, receiving bribes can, in some cases, attract the death penalty. The two key laws are the relevant sections of China’s Criminal Law and the Law of the PRC against Unfair Competition. In recent years the Supreme People’s Court and the Supreme People’s Procuratorate (China’s public prosecution service) have begun to issue detailed “interpretations” on key aspects of China’s legislation. These are designed to help the police and courts in the prosecution of different crimes. The latest judicial interpretation for the Handling of Criminal Cases of Embezzlement and Bribery was issued on 18 April 2016, specifying detailed thresholds, as well as what it means in practice by “serious circumstance”, “extremely serious circumstances” and “significant loss of national interests” as outlined in the 9th Amendment to the Criminal Law passed in 2015. Under the 9th Amendment and this new judicial interpretation, companies may be found guilty for providing money or property to former public officials, or close relatives of or any person close to the public officials for former public officials for illegitimate benefits. This act was not previously considered a criminal offence which now highlights the increased scrutiny companies and commercial relationships are now placed under. While the authorities have taken a number of steps to strengthen the independence of Chinese courts, the judiciary is not independent of the party and the rule of law remains weak. There have been instances of the official use of state media channels to pre-empt the judicial process. The courts can be influenced by ongoing political campaigns. 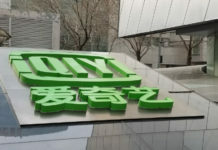 In view of the continuing anti-corruption drive and the stricter measures imposed by the revised Criminal Law and this new judicial interpretation, companies doing business in China should review their compliance policies and business practices to avoid any potential violation of China’s Criminal Law. Please follow the link to see where China ranks on Transparency International’s 2015 Corruption Perception Index. A number of British companies have been attracted by potentially lucrative business offers in China, which have turned out to be scams. We therefore always recommend conducting basic due diligence before making any financial commitments (e.g. checking that your Chinese counterpart is a properly registered and licensed business). 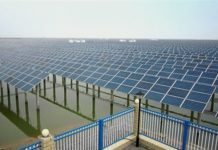 More information can be found on the Chinese government State Administration for Industry and Commerce (SAIC) website’s database. An offer that is ‘too good to be true’ may be, in fact, just that. Any request to pay a fee to have a contract notarised is liable to be a scam. Verify the data of your business partner, make due diligence checks. Increase your vigilance when making deals via e-commerce. When making purchases use secure payment instruments. When selling, secure the payment before delivery of the products. Contrary to what a customer says, it is not always necessary to visit China to finalise a contract. Be wary of a customer who insists otherwise. British companies, whatever their size, may be subject to cyber attacks. This can impact on the bottom line thefts of money, customer data or IP – and associated damage to your reputation. As a deterrent we advise companies to get their cyber security right. This is a board-level issue that all businesses need to deal with, and the 10 Steps to Cyber Security guidance provides Government advice on how to protect your business. 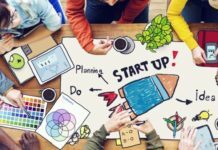 Smaller firms starting out with implementing cyber security measures may find the related ‘Cyber Security: what small businesses need to know’ guidance more useful, as well as visiting the Government’s advisory website Cyber Streetwise. Businesses wishing to implement the most important technical controls, and demonstrate that they take cyber security seriously can apply to be assessed under the Cyber Essentials Scheme, leading to the Cyber Essentials or Cyber Essentials PLUS badge. Companies may also wish to consider joining the Cyber Information Sharing Partnership, which shares real-time cyber threat information on cyber threats. Business people should be cautious about what information they bring with them to China, and how they use information whilst they are in China – either using IT or speaking in public places, including hotel rooms and public offices. Further protective security advice can be found on FCO travel advice. There is a general threat from terrorism in China, but the risk of attacks are higher in the Xinjiang Uyghur Autonomous region. Further information on the threat from terrorism can be found in the travel advice for China.